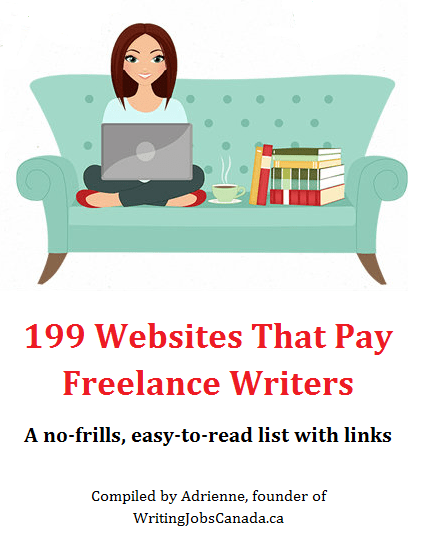 Pour yourself a coffee and enjoy today’s list of writing job leads. Along with online writing jobs open to writers anywhere, today’s list also includes onsite Canadian writing jobs located across the country. If you are looking to hire a writer or have a call for submission you’d like me to share, send me the details using the Submit A Free Job Ad link and I’ll include it on the next list and share it on my social media pages. Back bright and early tomorrow with another list of freelance writing jobs for you. Toodles! So, we meet again. Thank you for sticking it out and waiting for me to figure out how to keep this writing jobs list going with my insane writing schedule. To make it a little easier to post every day, I’ll be keeping the listing descriptions super-short, but as always will link to the original job posting at the start and end of each description. I’ll make sure each description still contains enough info the give you the gist of the job. Now that we’ve got that out of the way – on to the writing jobs! Today’s list is a long one with lots of remote writing jobs / freelance writing jobs open to writers anywhere and a few on-site writing opportunities for my fellow writers living in this beautiful—and frozen—nation. See you back here tomorrow! Writing Jobs, October 9, 2018. It’s Tuesday, but after the packed weekend I had, I need a Monday-sized cup of coffee, pronto! Back at it with a new list of writing jobs after a very busy, but oh so fun Thanksgiving weekend. Today’s list has a little something for everyone: online writing jobs open to writers anywhere in the world, onsite Canadian writing jobs, and a call for submissions, too. If you’ve landed here because you’re looking to hire a writer or have a writing job post to share, you can contact me here or submit your job details to post a free job ad here. See you back here tomorrow with another list of writing jobs! CARINA PRESS – OPEN CALL FOR PROPOSALS – Harlequin’s digital first publisher is open to proposals for any of the genres they publish, including mystery/suspense, romance and its various subgenres. The closing date for proposals is December 3, 2018. 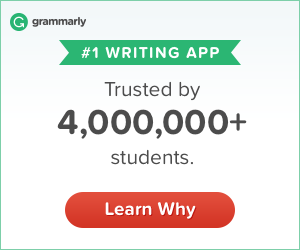 You DO NOT need a completed manuscript. They’re looking for books proposals of completely new work that has not been previously published. You need to send a detailed query letter with a 3-5 paragraph book description, plus a short introduction of your writing credentials and publishing history. A minimum of the first 7,500 words of a WIP, but you can certainly send more than 7,500 words if you have it. It’s cold and wet outside, and warm in cozy in my writing office. Being a freelance writer makes me especially happy on days like this when most of the working world is wishing they could just stay in. Perfect writing weather and a hot cup of coffee. What more could a freelancer want? Well, I suppose work to keep you busy and make it possible for you to enjoy these cozy writing days is what you want, so let’s get onto today’s list of writing jobs. There are lots of online writing jobs and calls for submissions open to writers anywhere in the world, and of course, Canadian writing jobs for others living in this beautiful country that is beginning to turn various shades of maroon and gold as the temperatures drop. Good luck and happy writing, all! SELENE QUARTERLY MAGAZINE – SQM publishes quality fiction, poetry, nonfiction, and art that dwells in the shadows. They’re looking for stories and poetry that are thrilling, reflective, and imaginative. The reading period for their February issue is from December 1st to 15th. They pay for microfiction, flash fiction, short stories, serial stories, and spotlight short stories, as well as nonfiction essays, narratives, articles, and reviews. See their website for payment details. PSEUDOPOD – PseudoPo is a genre magazine in audio form that’s looking for horror: dark, weird fiction and publish highly literary stories reminiscent of Poe or Lovecraft as well as vulgar shock-value pulp fiction. They welcome submissions from writers of all backgrounds. Payment is 6 cents per word for original fiction, $100 flat rate for short story reprints, and $20 flat rate for flash fiction reprints (stories below 1500 words).